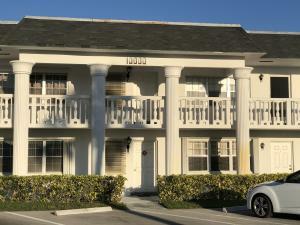 View all current homes for sale in Meridian Condo, Palm Beach Gardens, Florida. Click on a listing to the view property details, photos and maps. If you would like to change or expand your search criteria, go back to the Palm Beach Gardens search page, or try using our Advanced Search. 2/2, Lovely garden home with xtra living space/FL room. Electric panel updated. Tankless water heater. Park at your door. Pool across the street. Great active adult 55+ community. If financing 25% down conv. only. Walk to Publix/Promenade.No pets (there are some grandfathered critters:-) Vehicle restr. No lease. As is contracts only. Seller has already signed some of the addenda so check ''documents'' and save time:-) Thanks for showing. All measurements are approximate. PLease use due diligence. FL RM SqFt is additional to what records show. Reduced Price! NEW PAINT, NEW A/C, NEW PLUMBING, NEW SHOWER, NEW TOILETS, NEW ELECTRICAL PANEL, NEW HARD WIRED SMOKE DETECTOR, NEW WATER HEATER, NEW STOVE. Hurricane panels and exterior storage room. Community W/D. Multi-condo community run by 1 Master Assoc. - assessments include water/sewer and pest control. All measurements approximate. 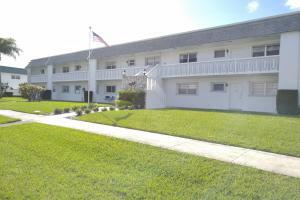 Freshly painted and updated 2 bedroom/1.5 bath 2nd floor unit in 55+ no pet community. Community pool, shuffleboard, clubhouse with library & internet access. Walk to shopping plaza with Publix! Rental restrictions.